At Kirkus this morning, I weigh in on Toys Come Home (Schwartz & Wade, September 2011), the third set of stories about Stingray, Plastic, and Lumphy, written by Emily Jenkins and illustrated by Paul O. Zelinsky. The link is here. 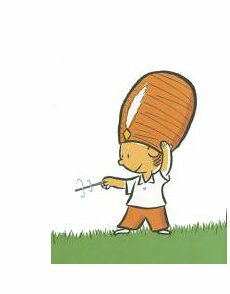 Here are some illustrations from this wonderful picture book. Enjoy. ANTON CAN DO MAGIC. Original title: ANTON KANN ZAUBERN. Copyright © 2006 by Ole Könnecke. First American edition published in 2011, Gecko Press. Hah! 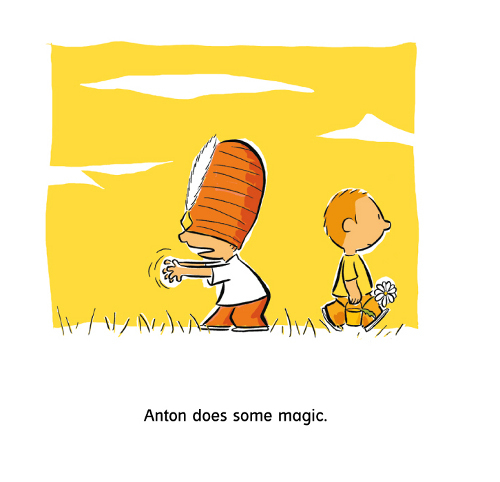 Anton book looks mucho fun. No wonder the kids love it. I *adore* those pictures. I’ll have to find a copy of the book! I read your review on Kirkus and had to get it. Sadly none of the libraries in Northern CA had the book. So I decided to purchase it. I may use it for storytelling time in my daughter’s preschool class. If so do you have any recommendations on how to read it to the kids to make it interactive. This is the first time I am reading to a class. 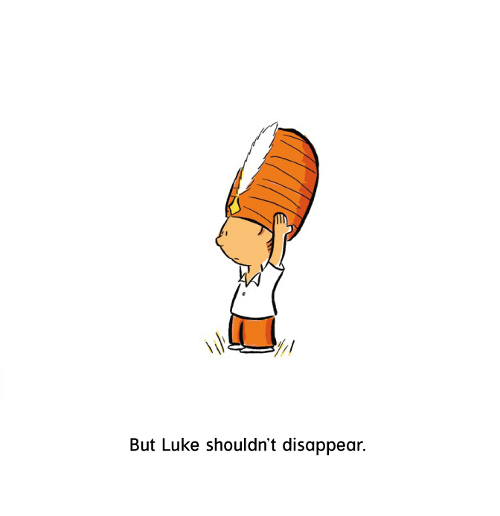 One question I had is does Anton become wise that it isn’t a magic hat when he sees Luke. 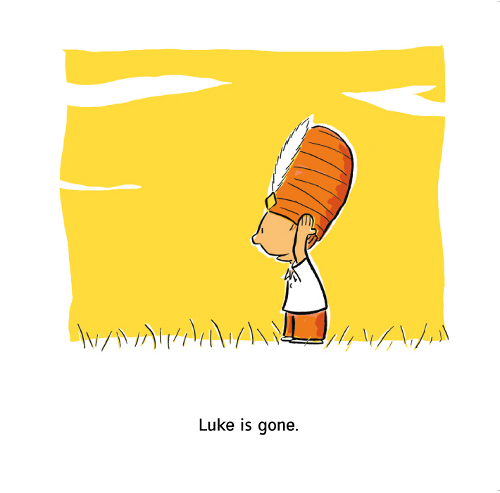 Is he then turning the tables on Luke and the other kids with the bird trick? I am guessing so but neither the words or the illustrations made this point crystal clear or maybe I missed something. Thanks for reviewing this book! I will probably blog about this book next week on my site and link to your review as well. its magically to see the colors and feel the emotion. neat! Darshana, indeed, I do have recommendations: For one, I have the kids copy Anton, all throughout the story, when he closes his eyes and wiggles his fingers (and we make a humming sound). We don’t have magic hats to push down over our eyes, as he does, but you get the idea. I also (and it’s arguable if this should be done) talk to them about what’s going on as we read. “Do you think he’s really magic?” “Look, he believes he’s really magic, doesn’t he?” “Why does he think here that he did real magic?” Please know I don’t go on and on. Heavens, no. Kids can read between the lines on their own, but I keep this very subtle (and so much of that depends on the age of the children). Also, I close with a magic trick of my own. 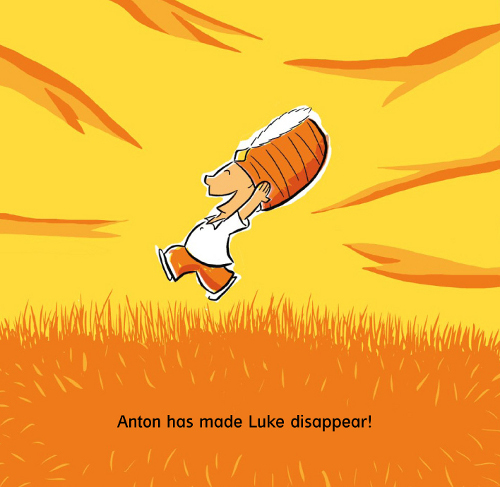 I think it’s arguable that Anton realizes it’s not a magic hat when he finally sees Luke. I told the kids today that I wondered if that’s what was going through his head, but I asked them first what they thought. It’s possible he realizes it and then just decides to trick them with the bird-under-the-hat bit. But the beauty of it is that some children may not see it that way. It’s definitely open to interpretation. I’m also a fan, by the way, of pointing out choices the illustrator makes. I love the illustration where he’s surrounded by darker colors and what look like flames and it says “Anton has made Luke disappear!” (It’s pictured above.) I (quickly, mind you) tell the kids how much I love that, how the illustrator’s choices show the protagonist’s excitement, etc. I love talking to children about “reading” illustrations. I think I will have to keep in mind their age. 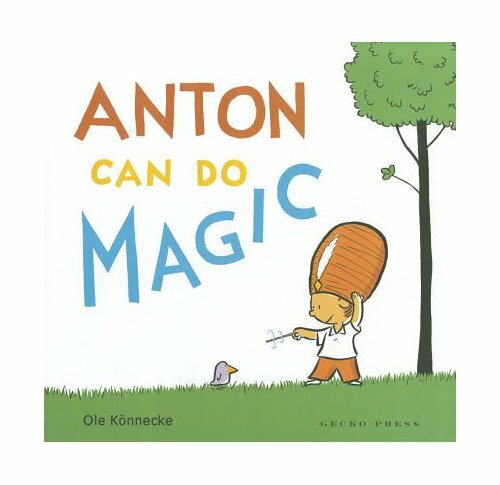 I read the story to my 3.5yr old, and she really believed Anton was doing the magic. It was difficult to explain to her what was really going on. I’ll probably have better luck with my 5yr old. Terrific! I work as a press agent at the Brazilian publishing house of this book: WMF Martins Fontes. It’s been a huge success here, especially at schools. Also the second book, The Secret of Anton. Wonderful idea! Congratulations for the wonderful review!